Any youth 8-18 interested in poultry are invited to join the new Poultry Pack 4-H Club hosted on NC State’s main campus in Scott Hall, home of the Prestage Department of Poultry Science (PDPS). The first meeting is January 25, 2019 from 3:30 to 5:30 p.m. in Scott Hall 216. 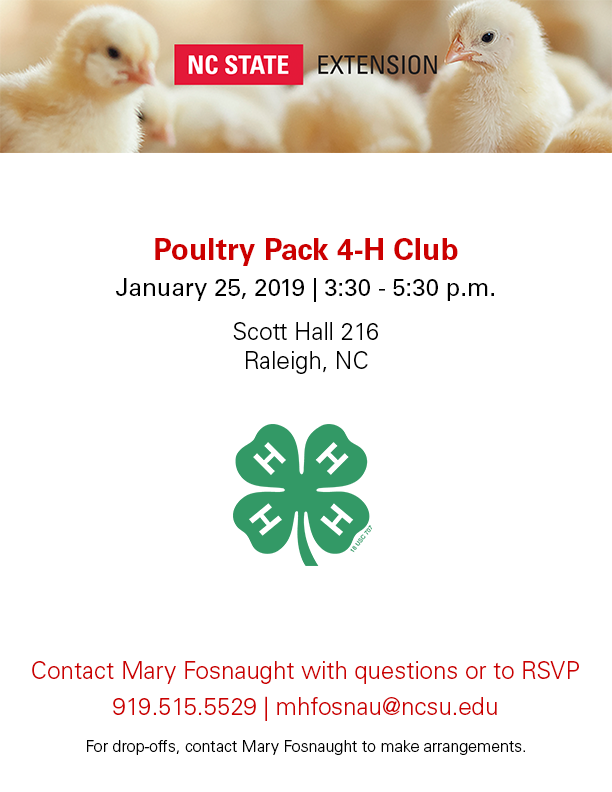 Poultry Pack is led by Dr. Mary Fosnaught, Poultry Extension Associate for 4-H & Youth Development and co-led by NC State PDPS undergrads.